Energy Technologies manufactures a wide variety of powerconditioning products due to the modularity of the product line and the diverse requirements of our clients. All of the following units can be used as a full time voltage and frequency power conditioners with or without battery backup. 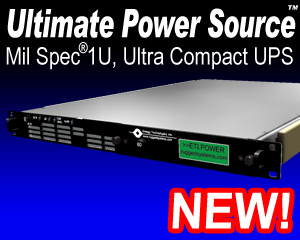 If you have an interest inRackmount Power Conditioner, please fill in the Information Request Form below.